I recently asked my students to list three things that defined them; I was surprised to find that their age was significant to several of them. The idea of being defined by our number of years horrifies me somewhat. I have to admit that I don't like doing online surveys anymore because I've crept up into an age range that I don't feel that I identify with yet. Years ago when I announced my first pregnancy, my Dad's reaction was not one of adulterated joy...I had catapulted him into the "Grandparent" category at the tender age of 50. And so I think my students are right: we are defined in some way by our age. When perusing house details the other day, my Mum, on seeing a reasonable sized property with a lovely big garden, was swift to point out that I'm not getting any younger! Hubby, on the other hand, refuses to countenance any utterance of the phrase, "We're nearly 50," in the house! But we have a "child" of very-nearly 22: Happy Birthday Child One, and another of coming up 20...so go figure! So age does shape us and other people's expectations of us, even if we don't want it to. 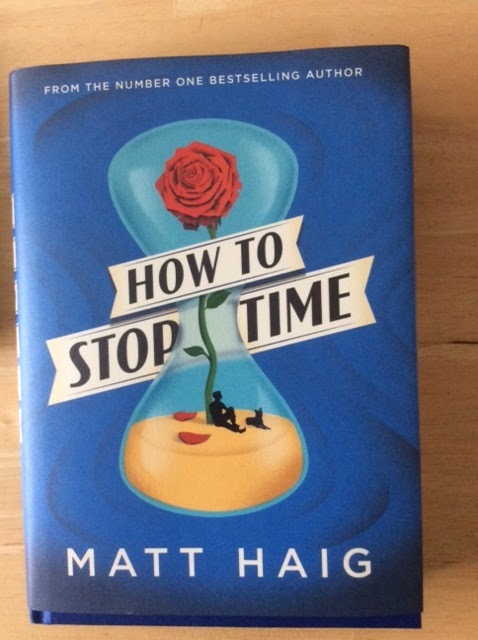 And thus Matt Haig's latest novel, How to Stop Time, poses an interesting conundrum. The central character, Tom has a fictional condition called anageria that means, though mortal, he will live a biblical span of years. His ageing process is therefore very delayed. A decade can pass by with very little physical change. At the end of the novel he is 439 years old, but could pass for 40. This premise allows for a lot of fun. 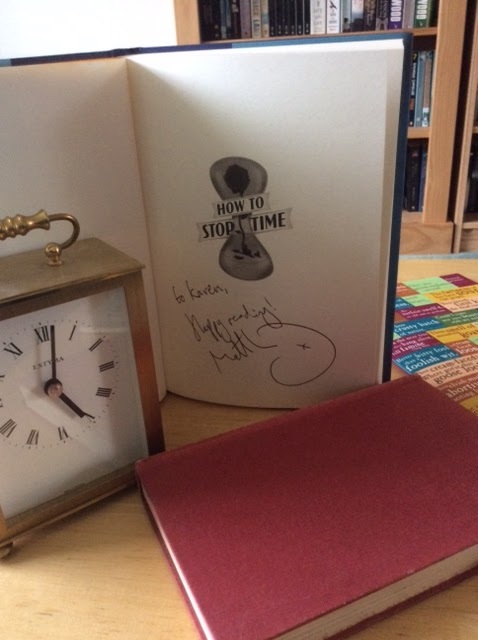 Haig writes well and lightly, managing to communicate the human condition with a combination of wry humour and pathos. Tom is born in an era of witch-hunts and his mother is publicly ducked for a hag because of her son. He meets Shakespeare and gets to work at the Globe Theatre, he plays jazz piano in a 1920's Parisian restaurant and he sails the oceans with Cook. All these impossibilities are handled beautifully as we make a tour of the human condition across centuries of experience. And we learn that the fundamentals don't change. People live, love, and die. Meaning is created through relationships whether you are a market seller in 1599 or a french teacher in 2017. And here is the rub. Tom is a member of Albatross, an organisation made up of people like him. Recruited into the organisation by Hendrich in 1891, it is set up to protect those with the condition. Hendrich organises new identities and ensures that Alba members move every 8 years, the time he has allotted that is safe. Beyond 8 years and people start to notice that you are different and questions are asked. Terrified that first the witch-hunters, then the scientists will want to use those with anageria, Hendrich is obsessive about keeping his members anonymous in the wider world. The only rule of the club therefore, is that you must never fall in love. And yet, the book shows us the universality of human experience. We are essentially social beings.We have a primeval desire to couple, to procreate. The anonymity enforced by the Albas results only in loneliness and isolation, and Tom inevitably falls foul of the rules. It is this "failure" that creates pathos. It means that the reader can empathise with him in a way that it is impossible with the mechanical, robotic logic of Hendrich. In the present, Tom is a history teacher in London. This allows for comedic moments where he lets slip facts that only an eyewitness might know. He makes wry comments about modern life from the perspective of someone who has known Hackney as a village, and the city with no cars. 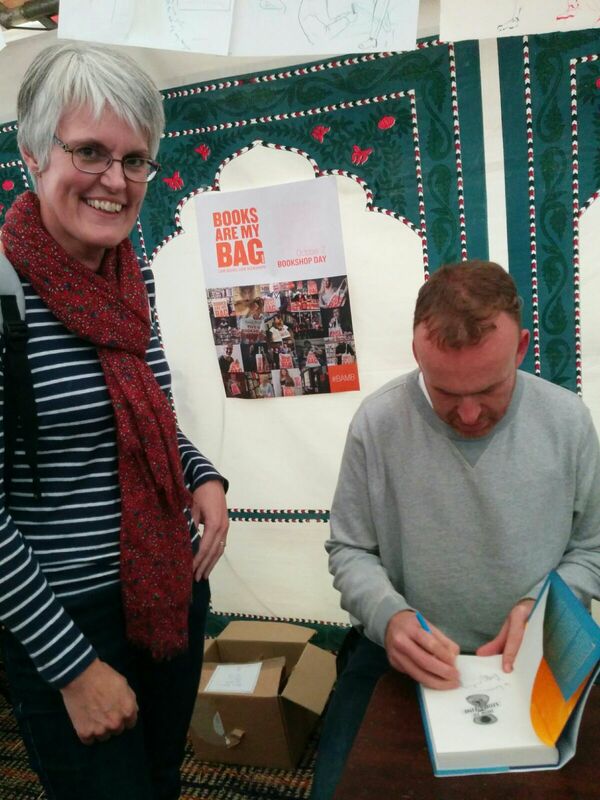 The novel is essentially a whistle-stop tour of world history give-or-take a few key events! The book is helpfully structured into chapters that let us know where, and more importantly, when we are! It begins with a context of the condition and then gives us some bearings for Tom in the present. It then jumps around across centuries and cities as we discover a collection of salient experiences in Tom's very long life. In doing so, it builds a story of control, smoke and mirrors perpetuated by the Albatross team and a more compelling strand of a life that is hard to live and harder to enjoy. It is a book where Tom loses his way and finds it again (more than once!) and is essentially about learning how to be comfortable in your own skin. 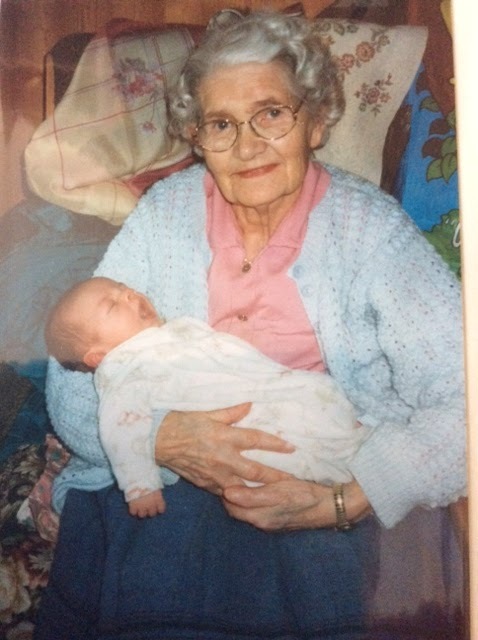 My Granny with Child 2! I may be in the 45+ bracket in the marketing surveys, but this book has made me very grateful for my mortality. By the appearance of my first grey hair in Cirencester Sixth form aged 17, it is pretty obvious that, even if blessed with longevity, I'm not likely to be here in 2070! I can't think of anything much worse than staying young whilst those around you age and die. I remember my Gran saying to me, whilst in her 90's that she had lost her husband, her siblings and her friends...I think one lifetime of love and loss is quite enough for most of us. So seize the day! Be blessed and look around you with joy. We have one life: love one another, appreciate one another and take time to breathe, to read, to walk along the riverbank and enjoy! As the bard himself famously wrote, (although I wasn't there to hear it!) "Above all to thine own self be true!" Brilliant! Loved the blog. Loved the book. 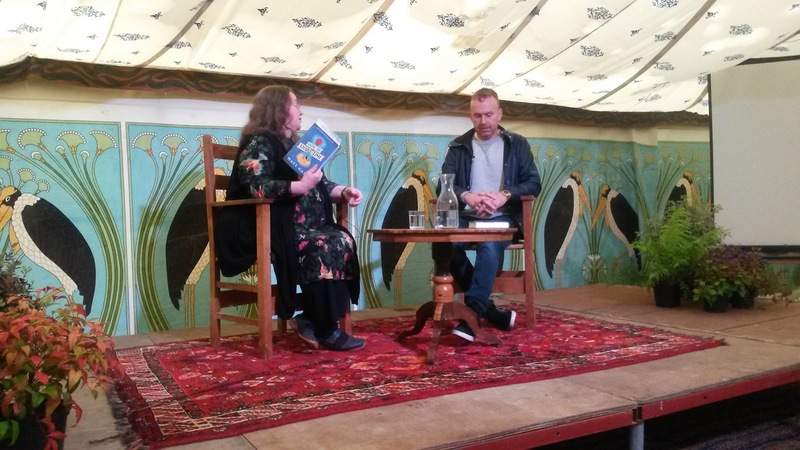 Loved the interview with Matt Haig. Loved the festival!